Jeff Glucker July 5, 2018 Comment Now! In 2015's motion picture "Spectre," James Bond and the baddies got to play with a bunch of seriously cool machines. Aston Martin created an entirely new car, the DB10, for James while Mr. Hinx piloted the impossibly gorgeous Jaguar CX-75. 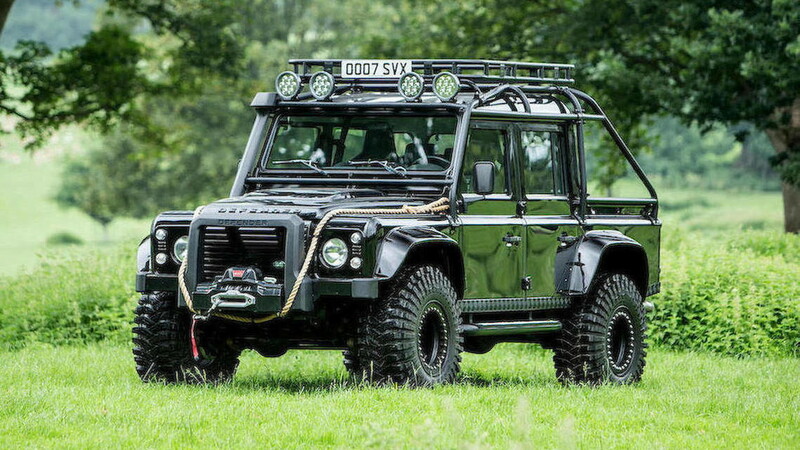 One of our favorite rides, however, was the customized Land Rover Defender 110 crew cab SVX. Just ten examples were built for the film, and one is headed to auction at the Goodwood Festival of Speed. Everything about this truck is perfect. First off, the registration reads OO07 SVX. Second, this is a crew-cab 110 pickup that's been reworked into an off-road ready monster. 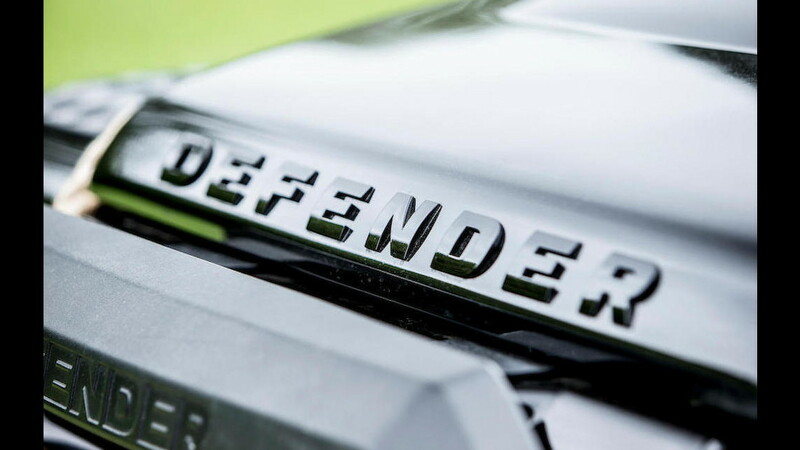 Land Rover's in-house special ops team SVO started with a standard Defender 110 and worked with British motorsport and customizing shop Bowler to prep it for bad-guy duty. It now rides on 37-inch all-terrain rubber and the chassis is reworked to a spec used by the Bowler racing team. 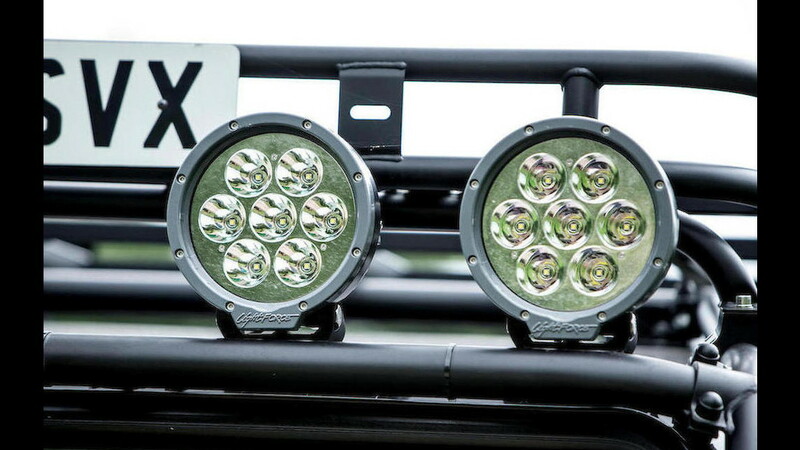 The chassis uses Rose joints (Heim joints) and Bilstein rally dampers so the truck can basically rip down the road and roll right over anything in its path. No wonder this vehicle is nicknamed "Bigfoot." 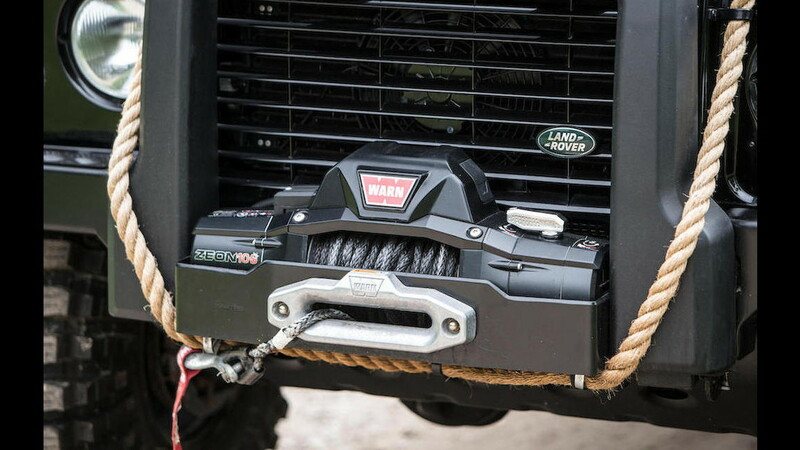 Under the hood, the diesel engine has been given a fresh dose of power. Formerly deploying 120 horsepower, now it produces 185 horsepower and 368 pound-feet of torque. The SVX badges on the fenders should be a clue as to the fact that this Defender is so much more than standard stock. Well, the exterior looks will do that, too. Santorini Black is the perfect color choice as enhances the menacing look. That's further aided by the flood lights, large Warn winch, and a hefty tow rope added to the nose. Inside, this villain vehicle has a full roll cage and a pair of Recaro racing seats with four-point harnesses up front. The rear seat appears to be stock. We're also happy to see that the builders left the mechanical handbrake in place. If you want to live out your Defender drifting dreams, this is your desired truck. The listing notes that this particular truck was used extensively during filming and has marks on its hood from the stuntmen. 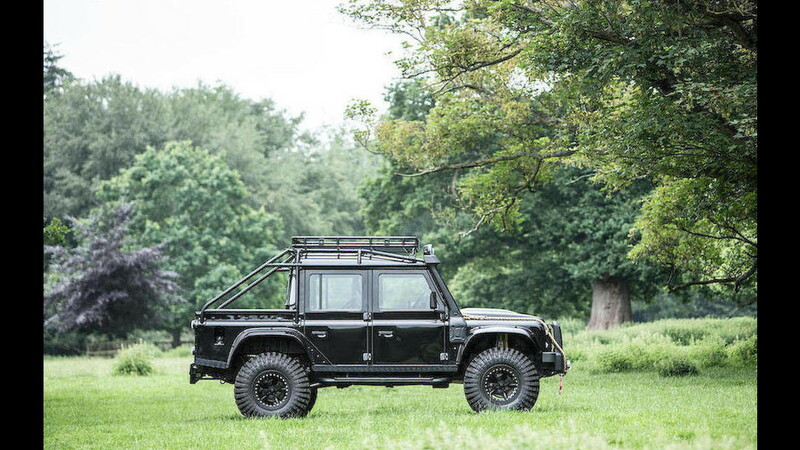 The Bond Baddie Defender will be auctioned on July 13 at the Bonhams Goodwood Festival of Speed Sale. Pre-auction estimates peg the value between $290,000 and $330,000. If you're both a fan of Bond and want a vehicle that can go anywhere, the price is irrelevant.